You live in your community. You might even work for a company within your community. Or maybe you just want to contribute to your community in a worthwhile way. But if your job is inflexible, you may not have the time to give back the way you would want to. Thankfully, work flexibility makes community engagement that much easier. When you’re not stuck in traffic going to (or from) your job, or holed up in your cubicle for hours on end, you then have the ability to create a schedule that allows for meaningful contributions to your local area. To give purpose to your life. In an ideal world, your job would be beneficial for you for two reasons: It would provide you with a paycheck, and it would also tie in to your greater purpose. But sometimes, your 9-5 might be a means to pay the bills while you pursue your passion on the side. For some, that passion is working with the community. To allow you to play an active role at your child’s school. There’s nothing sweeter than showing up to your child’s classroom with cupcakes in hand to celebrate his birthday. 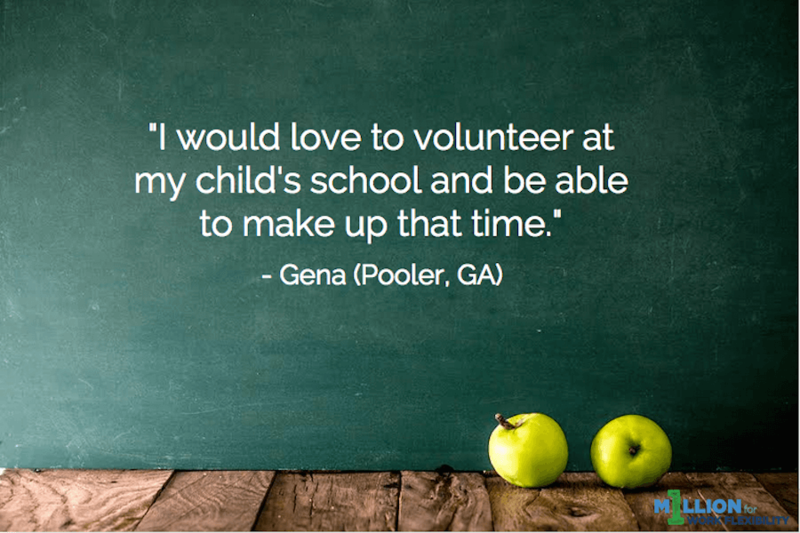 Beyond b-days, volunteering in your kid’s school can be a great way to be actively involved in his education and, at the same time, give back to the community, too. For some people, being a volunteer within their community is a true passion that can’t be found in a traditional job. Having the ability to schedule your day so that you can contribute to your community and still be able to work is a gift in itself. Community engagement doesn’t just benefit the individuals doing the work. It has a ripple effect that makes the community stronger and more vibrant, and those who participate in it richer in heart and soul. With flexible work options, individuals who have a desire to give back to their communities can do so without sacrificing work or family commitments. They can be engaged in all aspects of their lives.